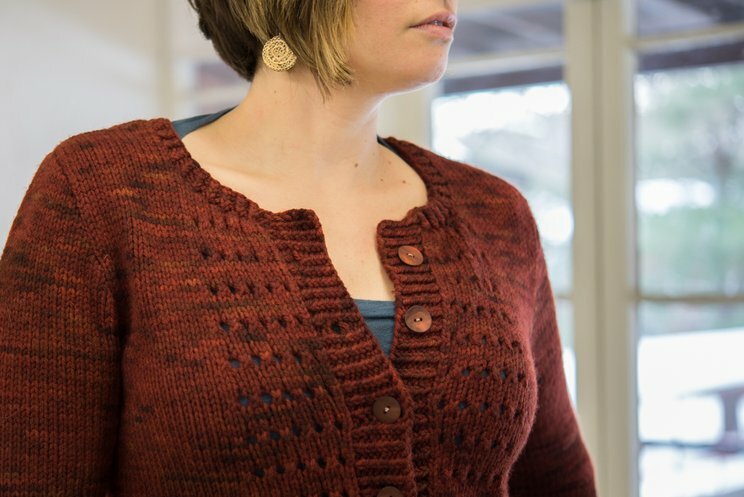 Burnish is a simple, crew-neck cardigan with easygoing eyelet stripes on the fronts and sleeves. 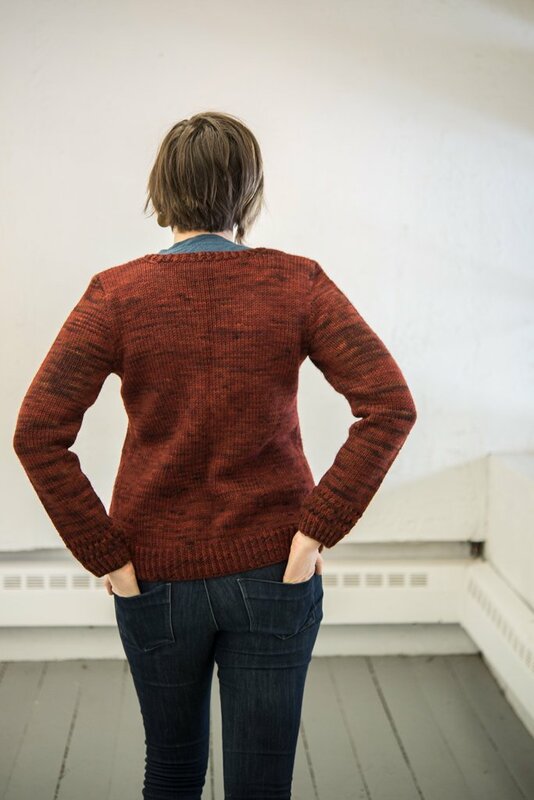 It's trimmed in twisted 1x1 rib, and we worked the sample in a classic, bulky wool - Spirit Trail Fiberworks Vesta. 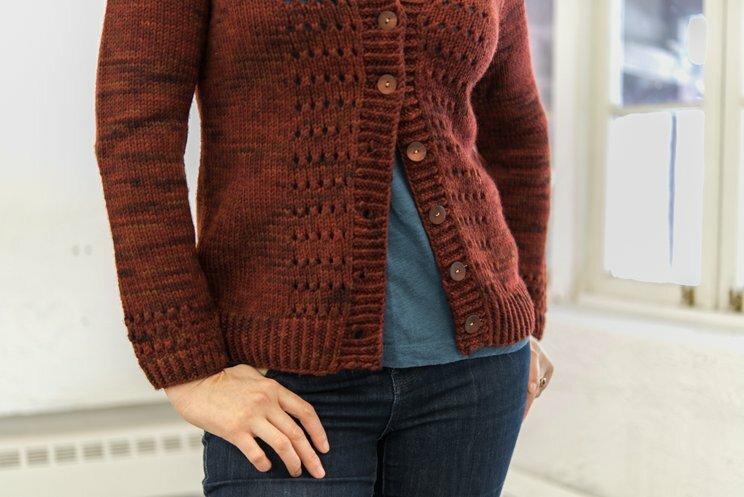 Burnish makes a great first foray into sweaters with lace, and each CustomFit pattern will be created specifically to your choice of measurements and gauge. Naomi is shown wearing Burnish with an hourglass average fit. 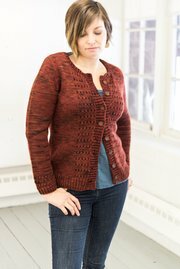 I worked this sample in Spirit Trail Fiberworks Vesta, a lovely and cushy super-fine wool at a quick-knitting bulky weight. It's shown in the color "Red Tiger's Eye". The 36'' sample took exactly 3 hanks of this lovely yarn; Amy liked it worked up at 4 stitches to the inch.